The 2019 Premium Terrain Pre-Order is now open. 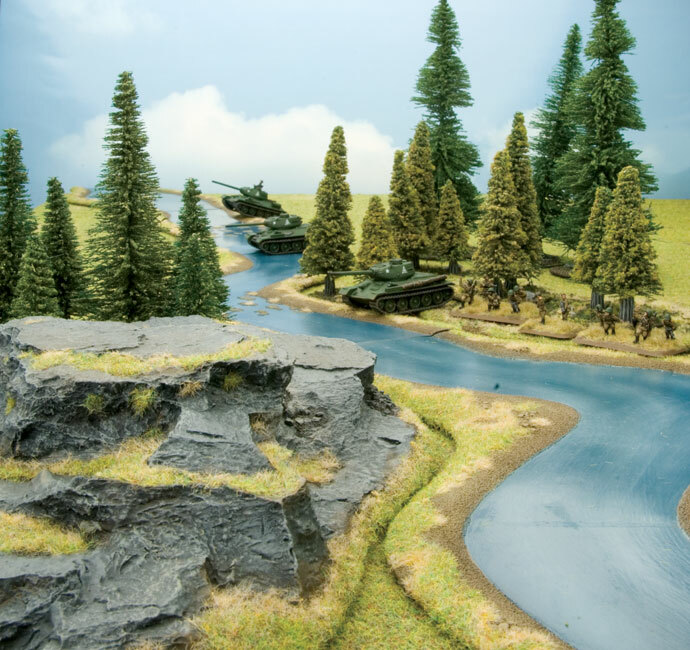 Every army needs a great looking table to fight over, and the Battlefield in a Box range is a fantastic way to quickly and easily put together a great looking battlefield. To take your table to the next level with some really interesting and unique looking pieces, we created our Premium Terrain range. 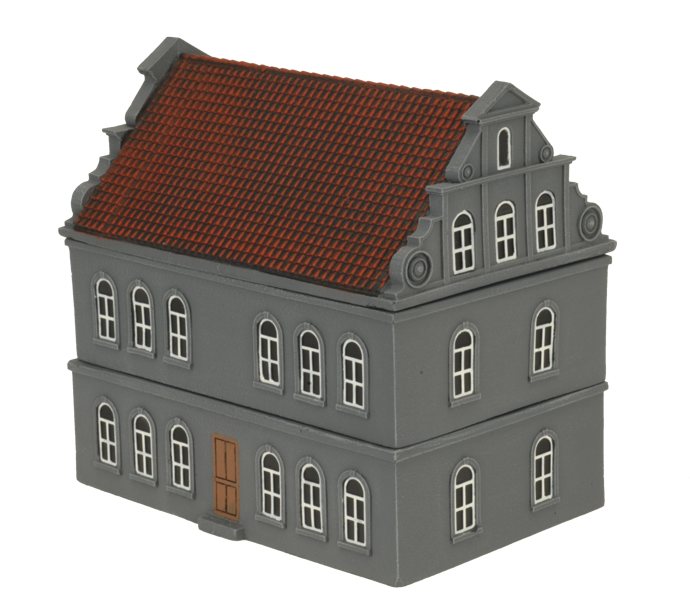 These include a mix of unique buildings designed specifically for 15mm gaming (such as Flames Of War and Team Yankee) and as well as some great terrain items that are at home on any 28mm or 15mm battlefield. 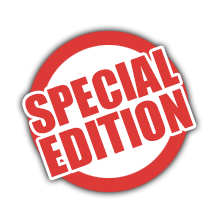 The pre-order will run from the 9th of November until we have hit our production cap, or the 3rd of December (whichever comes first). 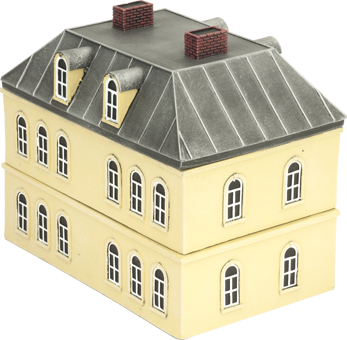 Once the pre-order has closed our production team will gather the numbers and start the casting and painting process (remember that all of these buildings are pre-painted!). 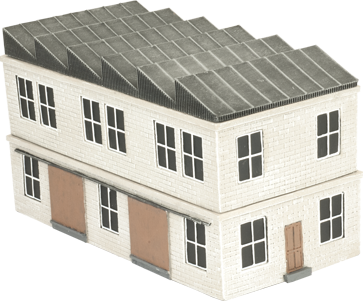 In order to ensure that we can produce all the buildings and have them shipped out to you in March 2019 we need to keep the production run limited so once the pre-order goes up don’t delay or you may miss out. Pine trees are evergreen, maintaining their look throughout the year. Found all over the world, a bed of pine needles make a warm and comfortable place for a weary soldier to sleep. Each Small Pine Wood consists of two unflocked Forest Bases and six Tree Bases. As autumn approaches, many deciduous trees choose to celebrate the time of year by changing their outfits, picking something bright and colourful. 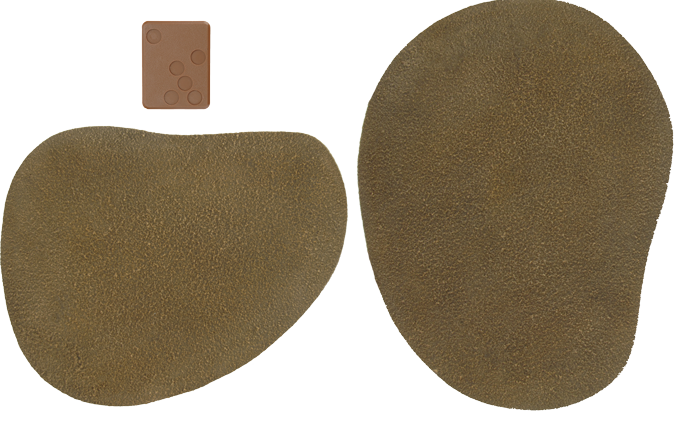 Each Small Autumn Wood consists of two unflocked Forest Bases and six Tree Bases. Summer brings a time of renewal after a long hard winter. For deciduous trees it is a chance to grow new leaves to hide your troops form enemy aircraft. 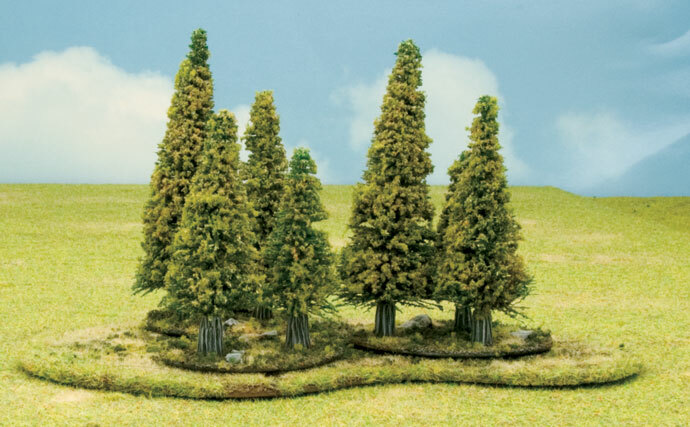 Each Small Summer Wood consists of two unflocked Forest Bases and six Tree Bases. Standing on top of a hill is sure to give your troops a great view for choosing targets. Just be careful they don’t become obvious targets themselves! 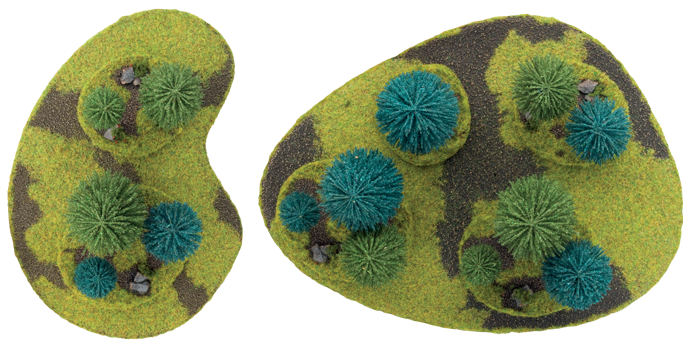 Each Rolling Hills set comes with two unflocked Rolling Hills. It's twice as nice to have double the house. 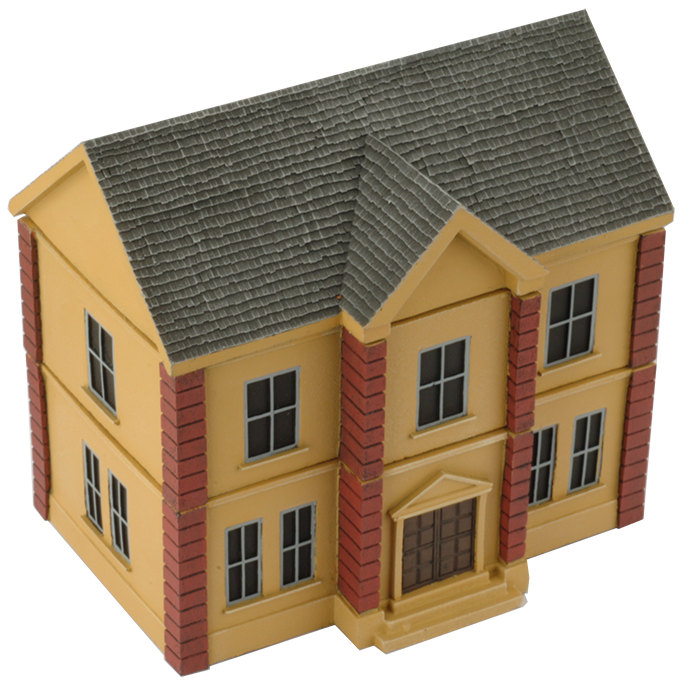 These new two-storey Terraced Houses also feature a new dutch gable roof design that really makes the house look a little bit special. A perfect place for British Paratroopers to call their headquarters, this Manor House adds a touch of class to any battlefield. 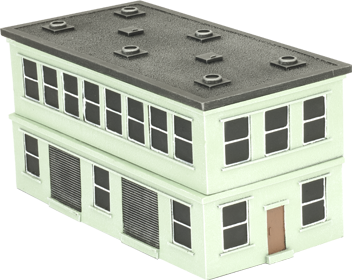 The vibrant green of this Factory Building will make it easy for your troops to spot in the heat of battle and use as a reference point. 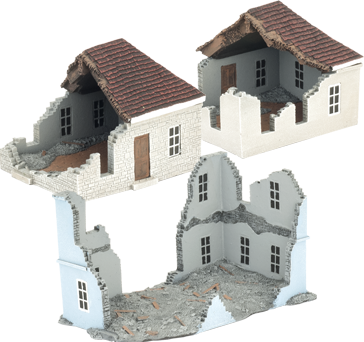 Like the Rural Church, this model is designed to represent a local church through much of Europe, particularly the Eastern regions, with extensive battle damage. 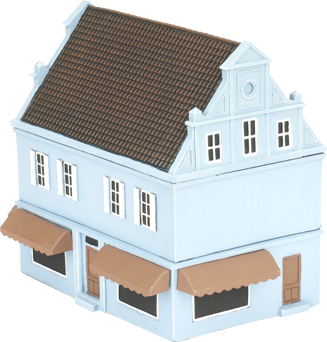 The ornate dutch gable roof on this butchery, restaurant, or coffee house and new paint scheme makes it stand out on busy European streets. 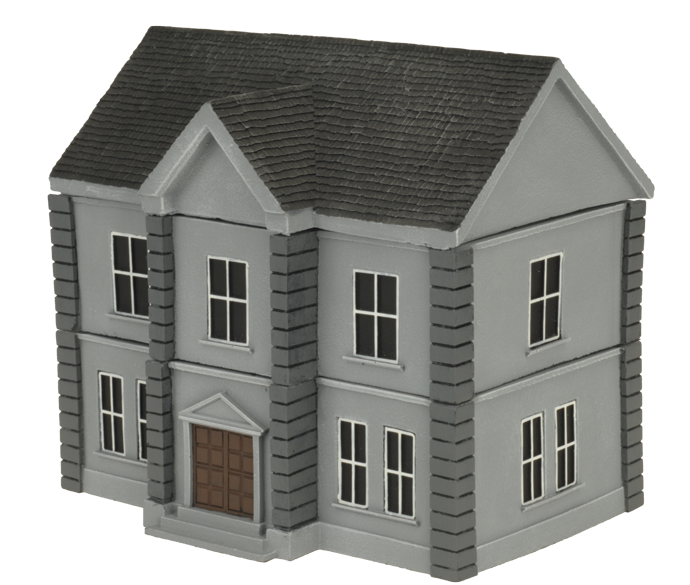 This stately home will work equally well as the centrepiece of country battlefield or as a grand home or municipal building in a town street. 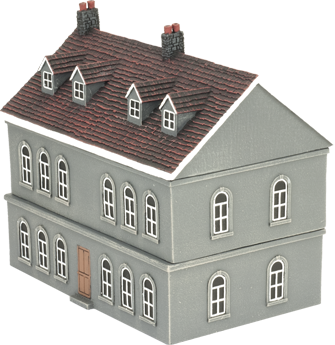 Not all stately homes look the same, some owners prefer a tiled roof with extra windows to let the light in or for snipers to fire from. 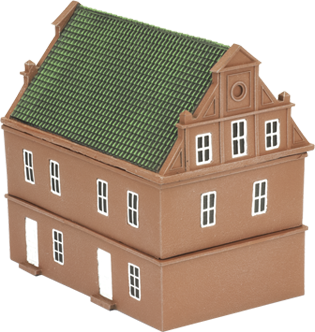 The third Estate House in the range, dark grey with a red tiled roof, this Estate House makes for a solid defensible position with plenty of windows for a commanding view of the battlefield. 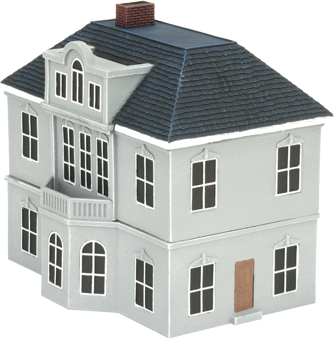 Between the mansard roof and the bright colour this Estate House is for someone that truly wants to make a statement. 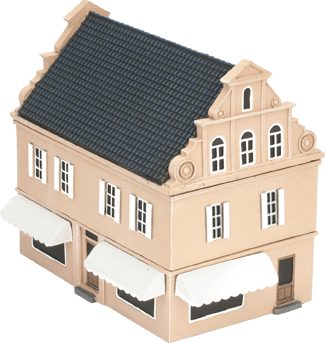 Every small town needs a building suitable for a mayor, bürgermeister or, mairie, and so does your new town. 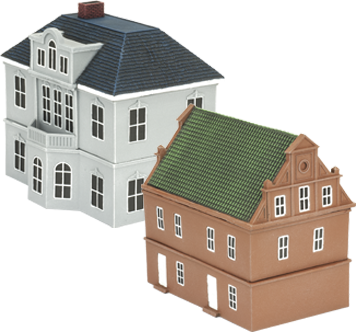 Every small town needs a building suitable for a mayor, bürgermeister, or mairie, and so does your new town. This one in imposing dark grey. 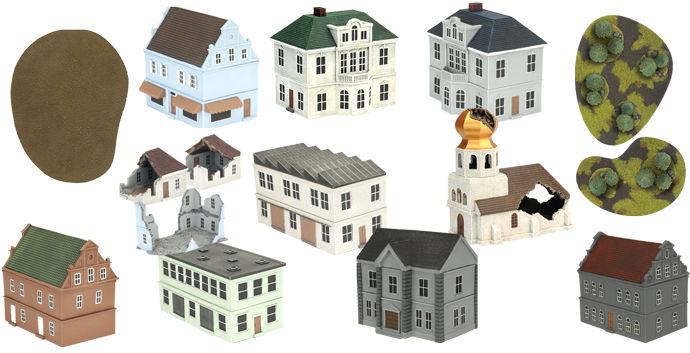 *Free shipping if you buy two or more buildings, five or more gets you free terrain! 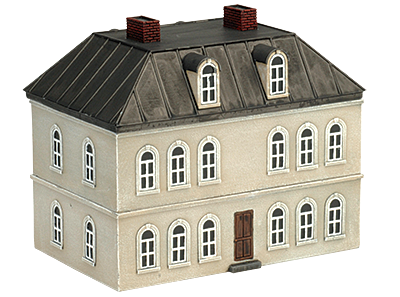 Pick a terrain piece of your choice, order it via the store, pay $50 / €42 / £35 + shipping. 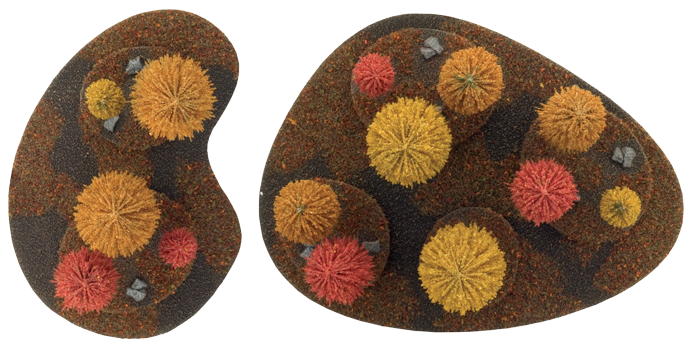 Pick any two terrain pieces of your choice, order them via the store, pay $50 / €42 / £35 per piece and get FREE shipping*. 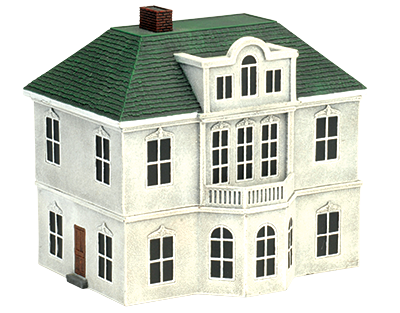 an additional FREE Terrain Piece of your choice (don't forget to add it to your order)! 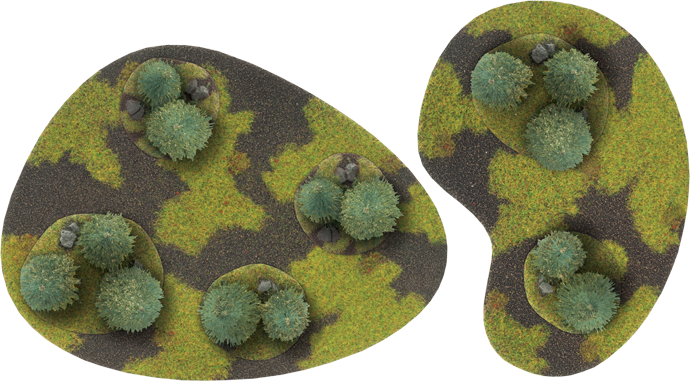 two additional FREE Terrain Pieces of your choice! Don't forget to add the free items to your order. A: The offer ends at midnight of Sunday 3 December 2018 (USA Pacific Time) or when we reach our production caps, whichever comes first. We will keep you updated on the progress thoughout the offer to give you a heads-up before it closes. Q: What do you mean "Production Caps"? A: In order to ensure we can produce all of the terrain within the following months we have allocated for completion on time we can take orders up to a total of 500 for each terrain piece. For example if we reach 500 orders for the Small Pine Wood, we will then take it off sale. However this will still leave the Small Autumn Wood available to purchase. We will keep track of this daily and give you a heads-up when the end is in sight, as it might mean the some of the products will close before Sunday 3 December. A: When you check out from the webstore. Q: Can I buy 8 terrain pieces? And what Freebies do I get? A: You get the freebies for the last tier you passed, in this case free shipping and a free terrain piece. Q: Can I buy multiple of a particular piece? A: Absolutely! If you wanted a massive industrial area (for example) you could buy 10 Factories, get two more free, as well free shipping. Or you could build a massive forest table and buy 10 Small Pine Woods, get two more free (and the free shipping). A: Yes you need to add your Freebies to the order. 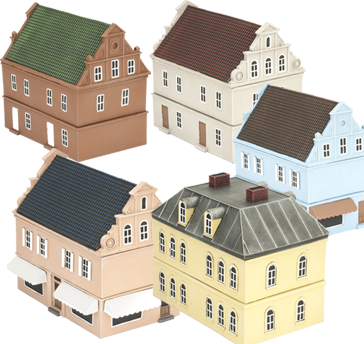 For example if you are planning on purchasing five terrain and getting one free of charge, you need to have a total of six terrain pieces on your order. 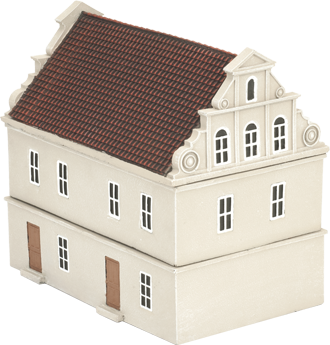 Q: If I only buy one terrain piece which shipping rate applies to my location? A: Shipping rates will be displayed in the online store. Due to the diverse range of the places that Battlefront ships products to, the offer of Free Shipping only applies to customers in the USA and Canada, UK and Europe, Australia and New Zealand. For customers in the Rest Of The World, we have discounted your shipping rate by 50%. This will have already been calculated in the Online Store and will be displayed before you check out. 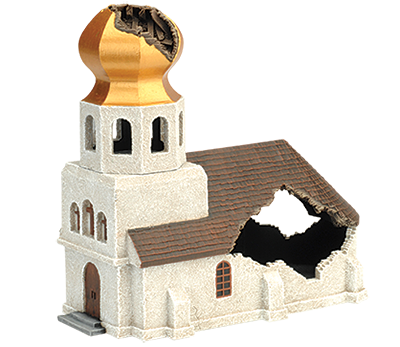 Note: the store has automatically changed the price of the Damaged Eastern Church. Note: the store has automatically changed the price of the two of the items to zero.